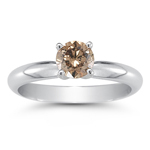 0.52 Cts Brown Diamond Stud Earrings in 14K White Gold . 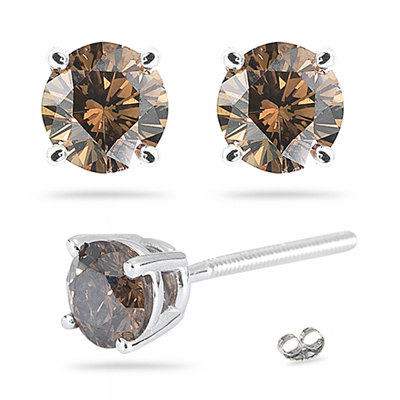 These exuberant Brown Diamond Stud Earrings highlight a SI quality round Brown Diamond each prongs set in 14k White Gold. Approximate Diamond Weight: 0.52 Carats. A dazzling pair of earrings to verve up those chilling winter evenings.